Do you like games? Do you like pop culture? Are you a fan of both? Then Ready Player One is the movie you have been looking for. 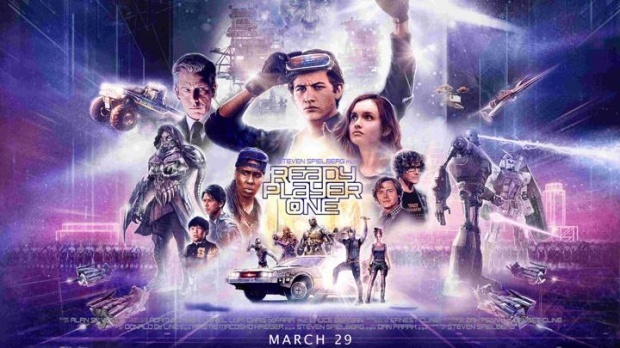 Based on the novel by Ernest Cline about a young man searching for an Easter egg hidden by the creator of a virtual world, the Steven Spielberg directed film captures every gamer and pop cultural fans’ imagination. There are so many references to please people of all ages. A majority of the film takes place in movie’s massive online game called “Oasis” where players across the globe (literally everyone across the globe) is searching for three keys using clues left behind by its creator James Halliday. Anyone who finds the keys that lead to his Easter egg will inherit his fortune and complete control of the Oasis. With in the first ten minutes of Ready Player One, I was already pulled in with the eighties rock music and first few pop culture references. As we have seen the preview trailers released weeks earlier, there were a variety of familiar vehicles taking part in a massive race. Among them were the legendary monster truck Bigfoot, classic 60’s Batmobile and Back to the Future’s Delorian, with the freaking striding light from Knight Rider’s KITT on the front of it. Are you kidding me?! Yes, just with those two references I was teleported back to my childhood. The opening race quickly reminded me of a Mario Kart course meets Twisted Metal. This race is incredibly done well. The CGI used is outstanding and it works perfectly since this is a video game movie. Tye Sheridan portrays Wade Watts, the teenager fascinated with old school games who solves OASIS’ Easter egg. 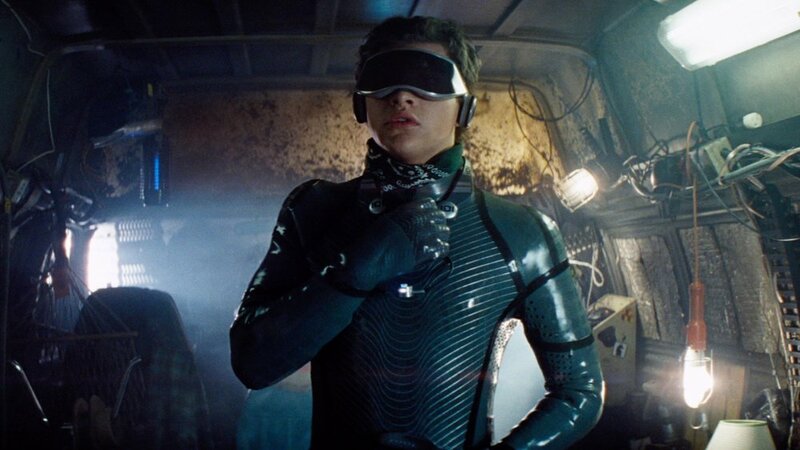 Ready Player One differs from its novel counterpart in terms of location and character scenarios. Wade Watts lives in Oklahoma City in Ernest Cline’s novel, as opposed to Columbus, Ohio in the film. Another change is that where one of Wade’s friends is killed in the novel, they live in the film. 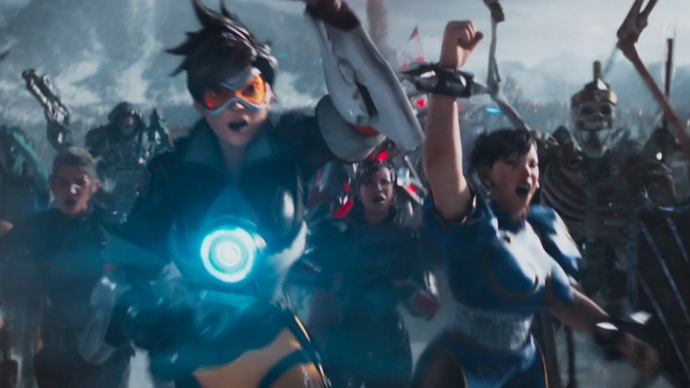 Other certain changes were made to update the plot to feature more current and familiar characters, this includes Chun-Li from “Street Fighter”, “Overwatch’s” Tracer, and the Iron Giant who were already shown in one of the film’s trailers. One would think that having all these references would muddy things up but, in reality, this works out beautifully for Ready Player One. In fact, this can be seen as the driving force of the film. Having all the items, characters and movie refs make the experience more enjoyable. Like side missions in video games, it was fun searching for that little icon, that familiar character, that movie from your childhood hidden somewhere in the background. The climatic final battle in the film pulls out all the stops and brings nearly every game, movie and cartoon character together in a scene that literally had me on the edge of my seat, staring with excited glee seeing the characters I grew up with on the big screen. While these references are enjoyable, this can pull away from the development of the film’s main characters by placing a majority of the focus on the fan service aspect. The original novel focuses on Wade Watts more so than the film does, leaving the cultural eye-candy in the background. Steven Spielberg is known for his incredible vision when it comes to film making and he does it again with Ready Player One. Ernest Cline, writer of the original novel, helped write the script for the film adaption. Whether you’re a gamer, a pop culture fanatic or an anime fan, this is a film that the whole family will enjoy. Joker and Harley Quinn enjoy the night club scene.